We’re professional and like lots of fun. 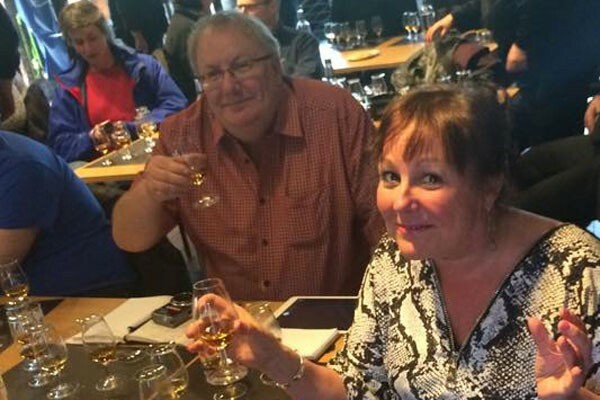 Our tours are highly recommended for memorable Scottish experiences in the friendliest small country in the world! Let us know your wish list and we will make your dreams come true. Everything is personally chosen, by us for you, that’s why it makes perfect sense to let us arrange your Scottish tour, we’ve been doing this for over 20 years, we think we have the hang of it by now. Our guests tell us you: Arrive a guest, go home a friend! Our tour was better than a trip, it was an experience! And dad and I were lucky enough to have you and Paul as our knowledgeable and fun sidekicks. It was honestly one of the better trips I’ve ever had and the accommodations were great. Paul being our driver was fantastic – enjoyable, stress-free, easy! Probably one of the most underrated things about the experience, and your service offering, was that it was flexible! Dad and I felt like plans were malleable and could be changed. Both you and Paul did a great job encouraging us to make the most of our trip and we never felt rushed or pushed in any one direction. Paul – owned and ran advertising agencies before tourism. He has a wealth of information. His passion for Scotland make him an ideal driver/guide. (He even make’s history interesting, says Liz!). Liz the organiser and a perfect hostess, she doesn’t go on all the tours but when she does … it’s memorable! A dynamic duo and best friends. Scots are well known for their warmth and enthusiasm and both share a love for the country and a passion for delicious drams.